(East) Berlin, 1954 – an eleven-year-old girl and her ten-year-old brother are cleaning their house in preparation for the return of their mother from a journey. Ella and Thomas spend two days scrubbing the house from top to bottom, and when their mother finally arrives, the two hope that she will recognise their efforts. Käthe’s actions are underpinned by her belief that she is right, but this belief is a heavy weight which her two eldest children are forced to carry. Of the two children, it’s Ella who attracts most of the attention early in the book. As she grows up, she begins to rebel against her mother, stealing money from her purse and only attending school when she feels like it. Her strong exterior hides the fact that she’s actually powerless, though, and her growing sexuality is tempered by experiences in her own home which she really shouldn’t be subjected to. No, not quite. I eventually had this as a top-ten book, which was a lot higher than most of my fellow Shadow Panelists viewed it! 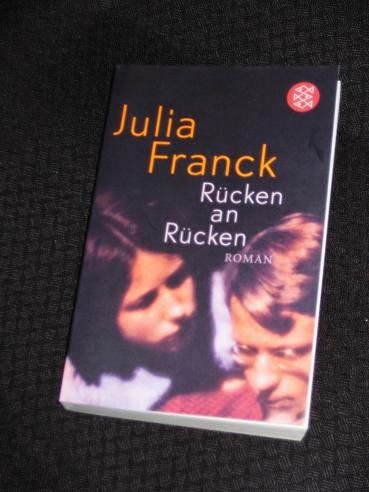 My background in German studies probably helped endear this book to me as I’m very interested in East Germany (and surprised that another book on the country, Eugen Ruge’s In Times of Fading Light, was overlooked this year). It’s far from perfect though, and the book falls into the trap of being too black and white (the good are angelic, and the bad are demonic). Käthe is slightly too much of a caricature at times, although Franck does manage to give her some human moments. All in all, it’s a book I’m glad I read, but I can see why others might not have liked it. This has to be one of the most depressing books I've ever read, and I lived in Germany while the wall was up between East and West. I've talked to those from the East, and their despair over the lives they lost (figuratively) matches the despair Franck depicted in her book. Perhaps as a portrayal of a country, at a certain time, it is worthy. But it is even less hopeful than Jian's The Dark Road in my opinion. Bellezz – Deliberately depressing, though. In some ways, it's a counter to the sense of 'Ostalgie' which affects many East Germans, believing that life before the 'Wende' was much better (when for most it certainly wasn't…). I found this one very penetrating, I have to say. It wormed its way into the corners of my mind and (several weeks down the line) I'm still thinking about Ella and Thomas. 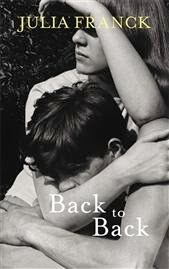 It feels like a very personal book with Franck drawing on her own family history…I think that's why I found 'Back to Back' so affecting. Stu – Still not sure what happened there as there seems to have been no buzz for that one whatsoever (which is a shame because it's a really good book).